6x2 rib. Quick drying. Wicking fabric allows you to stay cool and dry. 1/2 zip neck top. Flat seams ..
Boxer style with longer leg length. Front fly keyhole opening. Heatseal inner waistband label. Tonal..
Heatseal inner waistband label. Covered elasticated waistband. Branded label stitched onto waistband..
6x2 rib. Quick drying. 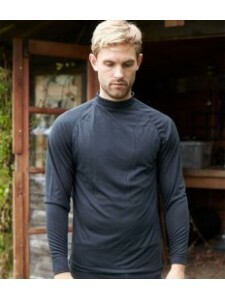 Wicking fabric allows you to stay cool and dry. Crew neck. Flat seams for com..
White elasticated waistband. Shaped panels. Mid thigh length. Suitable for sublimation printing. Tea..
6x2 rib. Quick drying. Wicking fabric allows you to stay cool and dry. Elasticated waist. Flat seams..
High cut leg. Heatseal inner waistband label. Tonal brand embossed waistband. Sold as pack of 2. WRA..